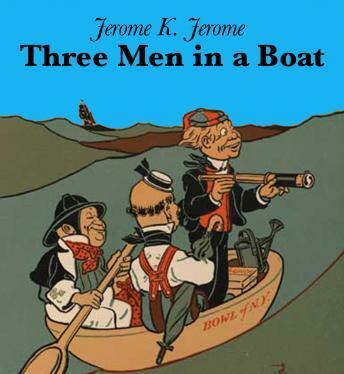 A humorous account by English writer Jerome K. Jerome of a boating holiday on the Thames between Kingston and Oxford. The three men are based on Jerome himself (the narrator J.) and two real-life friends, George Wingrave (who would become a senior manager in Barclays Bank) and Carl Hentschel (the founder of a London printing business, called Harris in the book), with whom he often took boating trips. The dog, Montmorency, is entirely fictional but, "as Jerome admits, developed out of that area of inner consciousness which, in all Englishmen, contains an element of the dog." The trip is a typical boating holiday of the time in a Thames camping skiff. This was just after commercial boat traffic on the Upper Thames had died out, replaced by the 1880s craze for boating as a leisure activity.